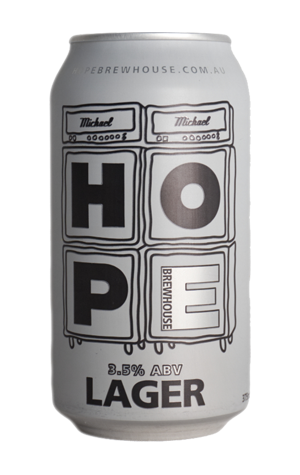 The beer where it all started for the Hope Brewhouse – a mid-strength lager to serve to the thirsty hordes at Hope Estate's major concerts. It's a simple affair – pilsner and carapils make up the grain bill and Cascade the hops, the picture completed by a German lager yeast – and one the brewers describe as "fresh, clean... dry, crisp". And, while it was originally conceived to serve by the hectolitre at gigs, it's now part of the brewery's permanent can range too.